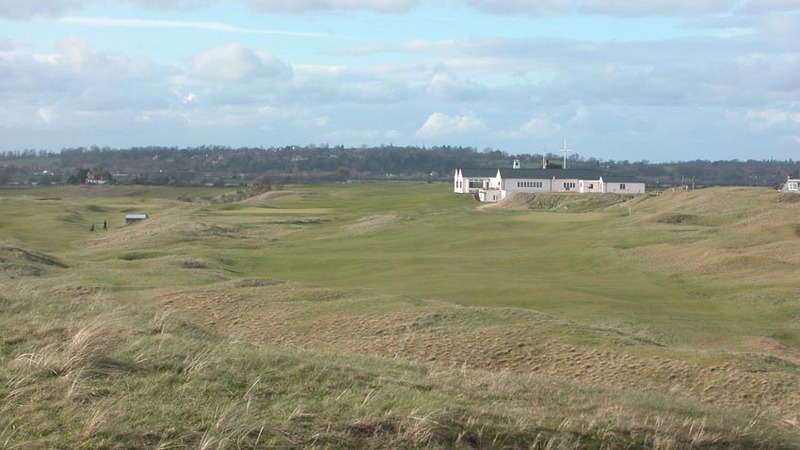 Rye Golf Club in Rye England, on the East Sussex coast about an hour or so south of Dover, is to England what Prestwick is to Scotland and Lahinch is to Ireland. 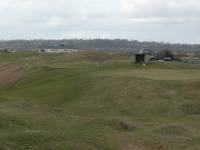 Rye Golf Club is an ancient golf course, not without its quirks, but perhaps the most enjoyable course and club in England. 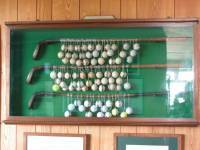 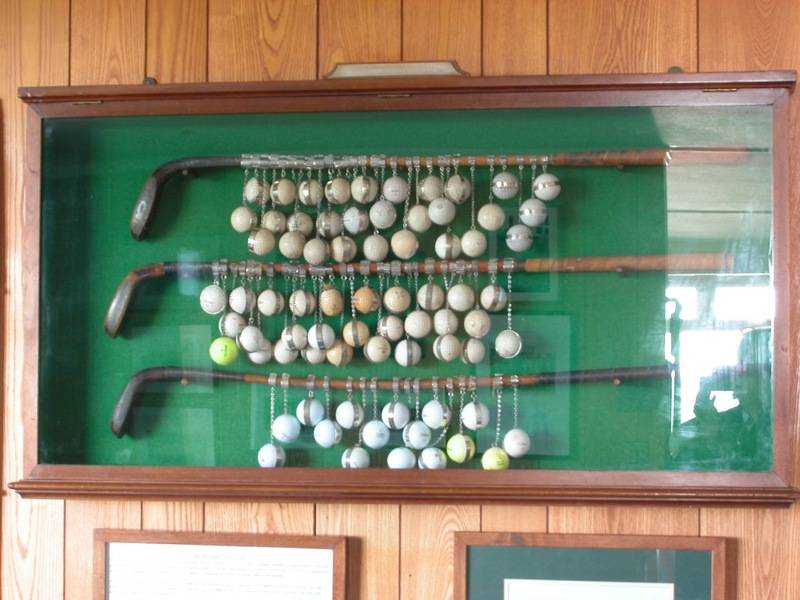 Rye Golf Club is home of the famous President’s Putter competition among the golfers of the Oxford and Cambridge Golfing Society, which believe it or not held in January each year. 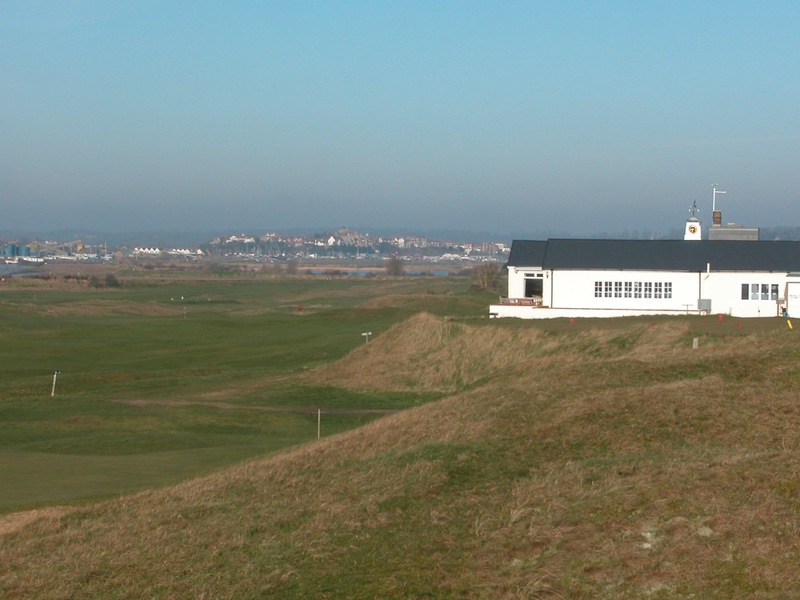 Rye Golf Club is only a par-68, but what a tough par it is. 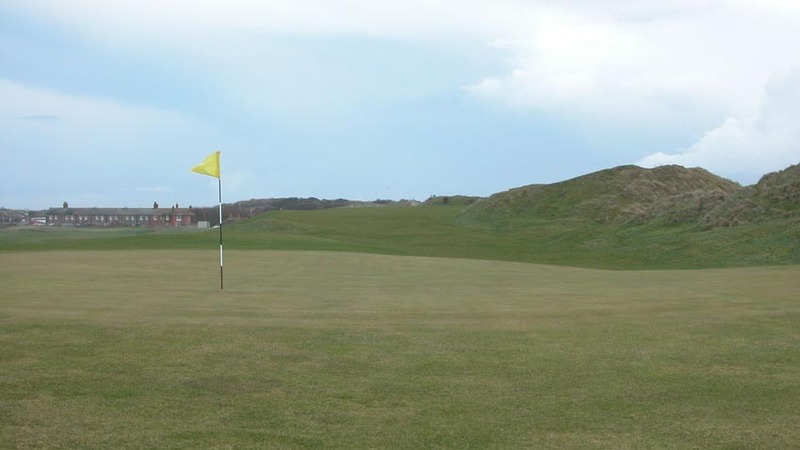 Rye Golf Club is especially renowned for its incredible set of one-shotters, so much so that they say the toughest shots at Rye Golf Club are the second to the par-3’s! 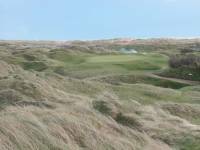 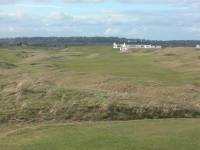 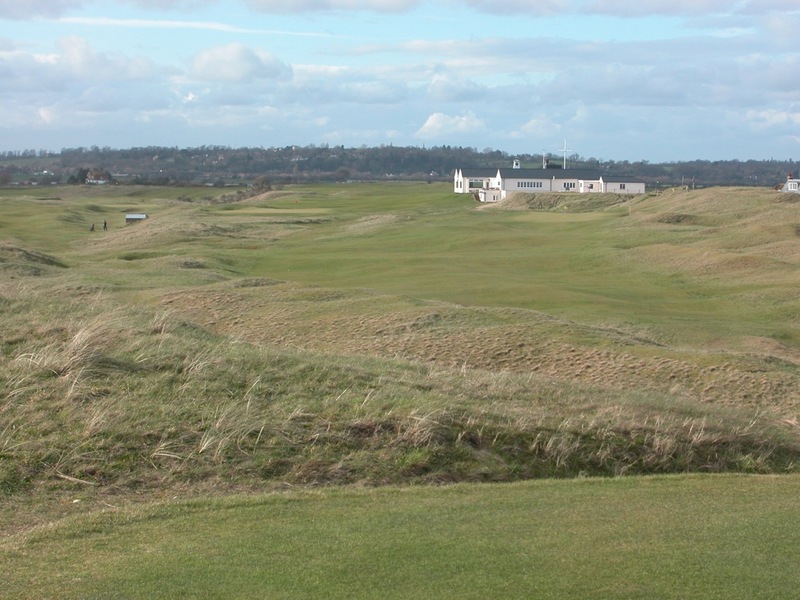 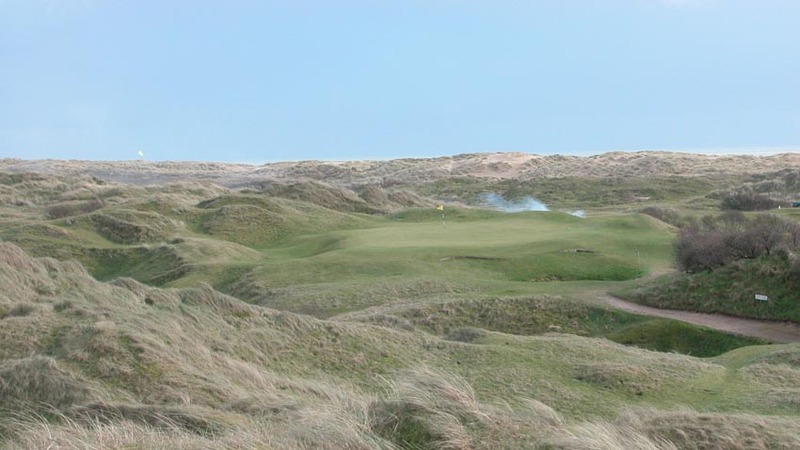 Combine these holes with Rye Golf Club’s mighty par 4’s that run over, on top of, and alongside the spectacular dunes, and you have a course that surely should be recognized as one of the best in England. The 4th and 18th holes in particular at Rye Golf Club are like playing on the summit of a hill, with steep drops both left AND right of the fairway. 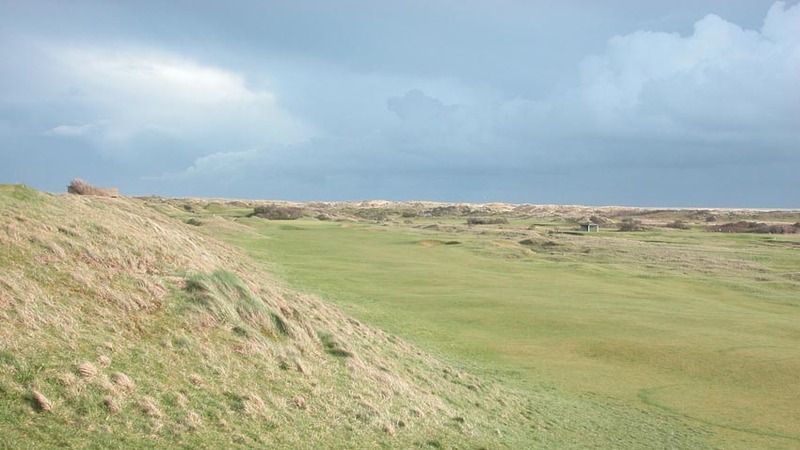 These Rye fairways are nearly impossible to hit in a crosswind, and are very intimidating, especially the 18th where a sideways gale combined with the slightest of pulls will threaten the Rye Club Secretary’s office window! 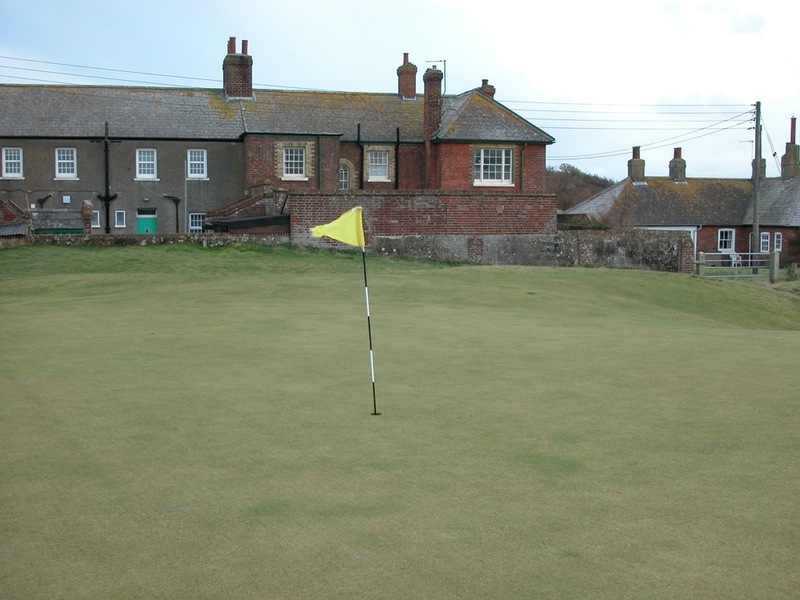 The setting at Rye Golf Club is glorious, you can see both the sea and the medieval town of Rye itself. 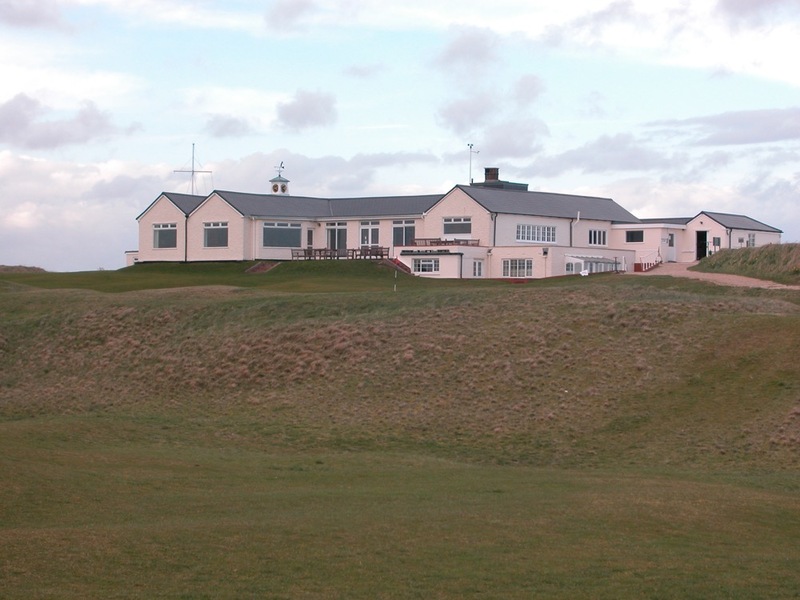 A very private club, Rye Golf Club is also one of the most friendly and enjoyable anywhere, and the unpretentious clubhouse is a real treat after a round. 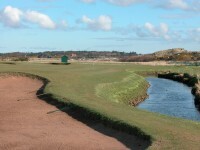 Rye Golf Club is simply a gem! 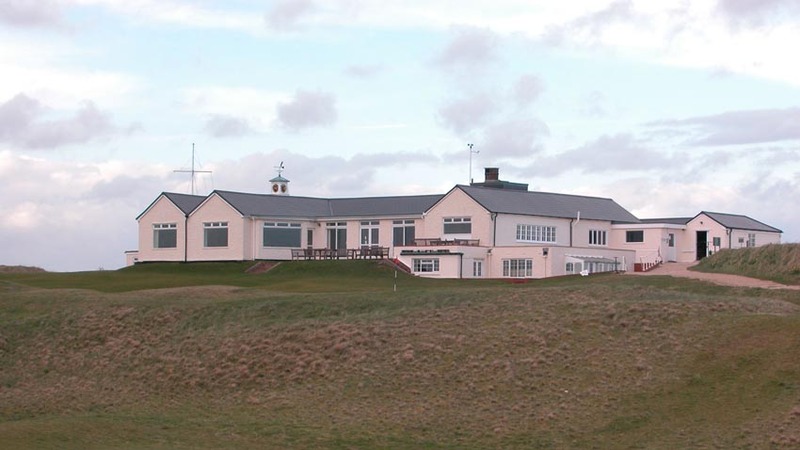 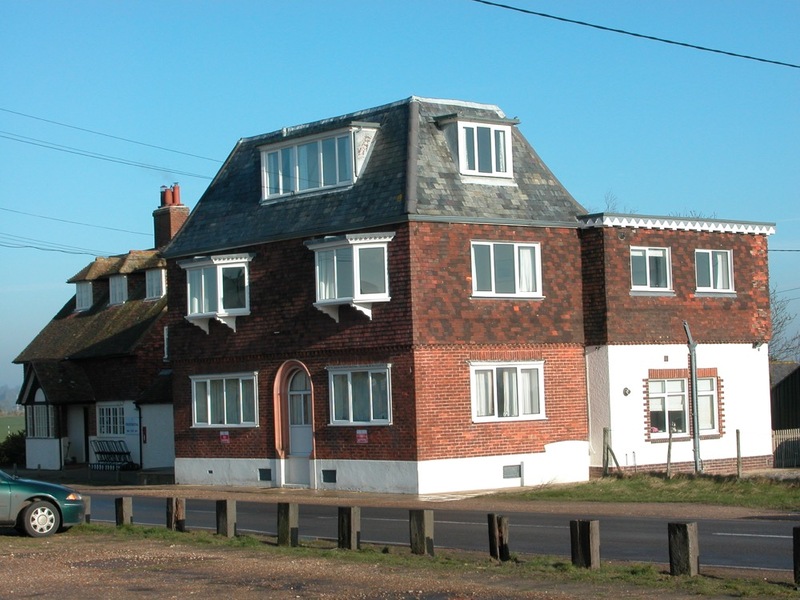 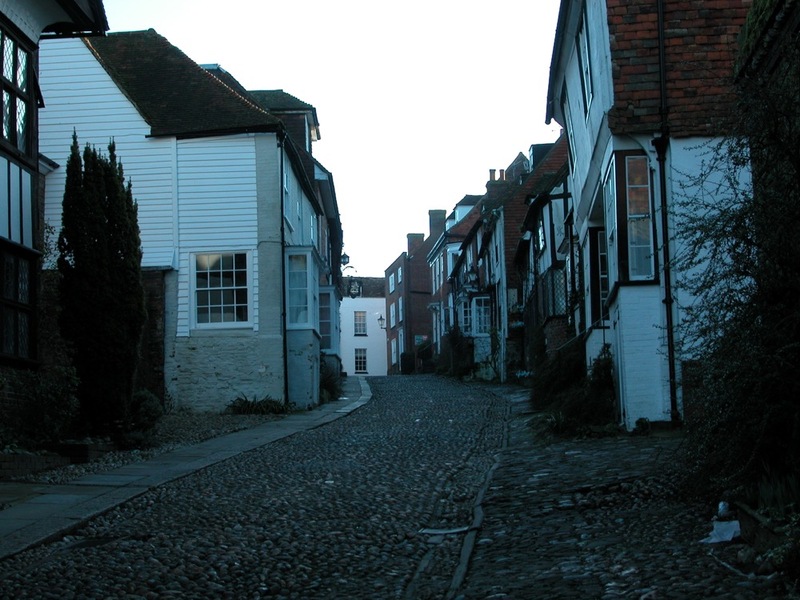 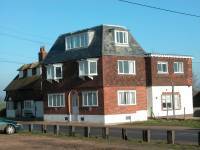 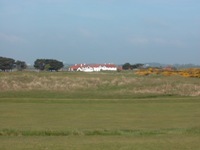 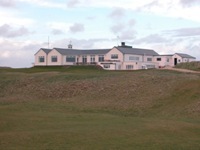 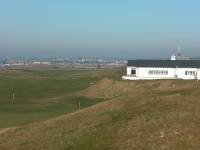 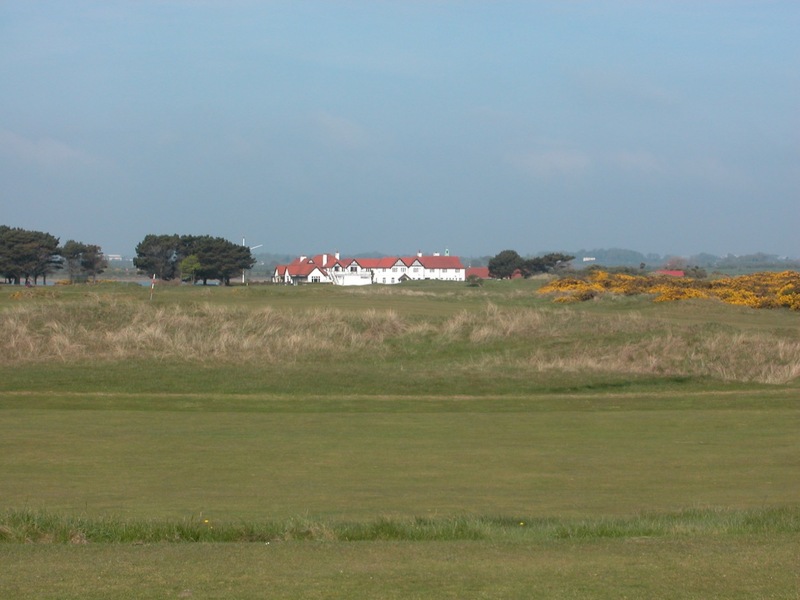 And so is the on-site dormy accommodation, called “The Billy”, right across the street from the clubhouse at Rye Golf Club and an atmospheric place to stay on your golf holiday in England!